A recent date night took The Astronomer and me back to P.Y.T. 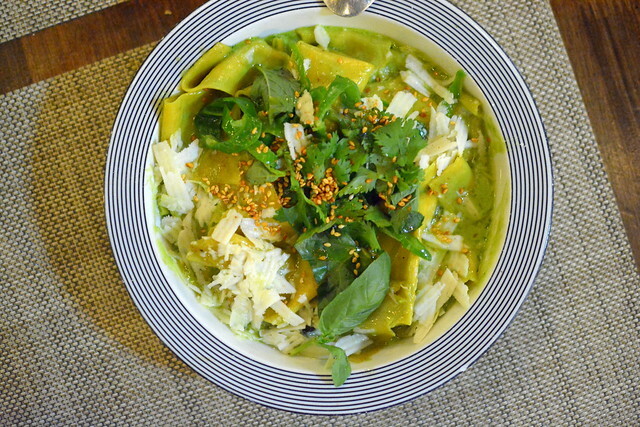 to taste more of Chef Josef Centeno’s vegetable-centered cooking. We’d previously dined here courtesy of lentils.org and had a splendid experience. More vegetables, please. 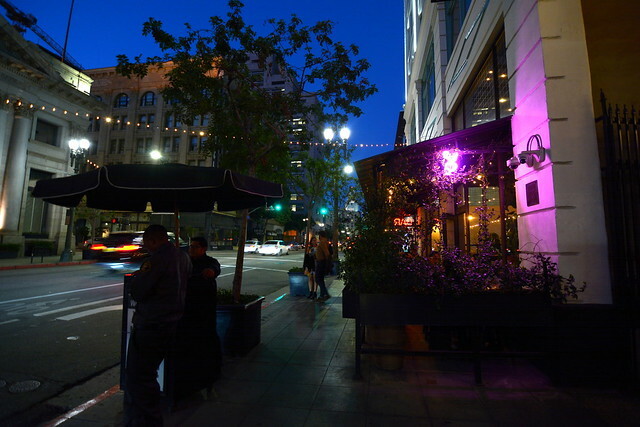 It was a balmy fall night in downtown. 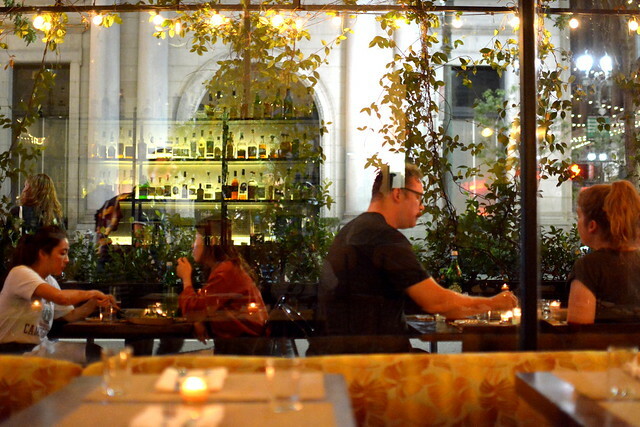 With reservations made a few days prior, we were seated immediately at a table for two adjacent to the bar. The restaurant filled up as the evening progressed. Vegetables for everyone. 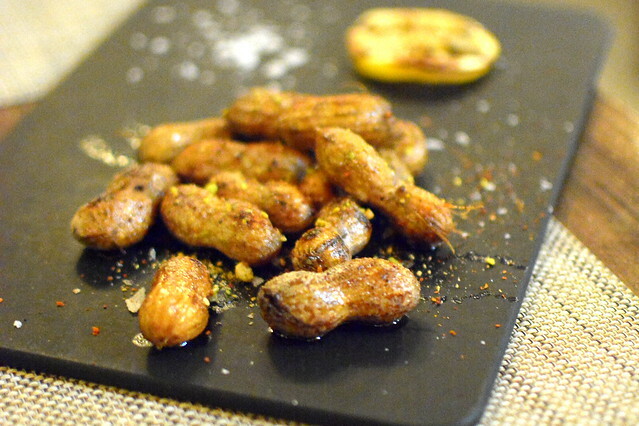 As we perused the menu, a slat of complimentary boiled peanuts arrived at the table. The Astronomer loved the spice blend—a little salty and just a touch warm. 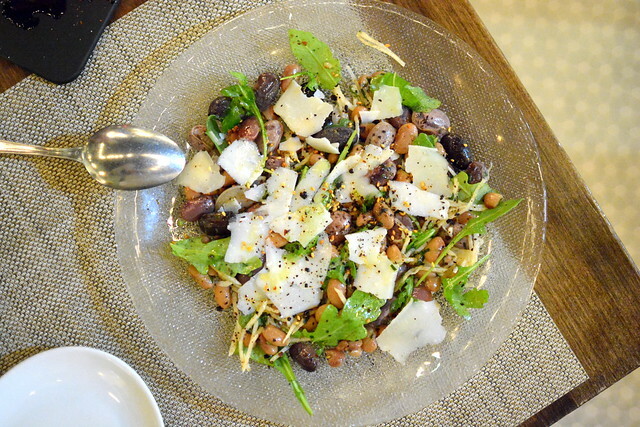 First up was a salad ($14) with cranberry and cannelini beans along with jicama, arugula, pecorino, and a chili-yuzu vinaigrette. The texture of the beans, firm yet creamy, was the highlight of the plate. 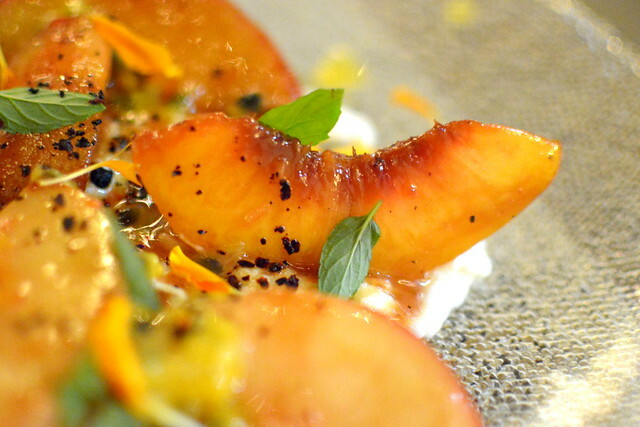 The last of summer’s peaches starred in the stone fruit salad ($14) with burrata, mint, and a passion fruit vinaigrette. We loved how the salad teetered between sweet and savory. 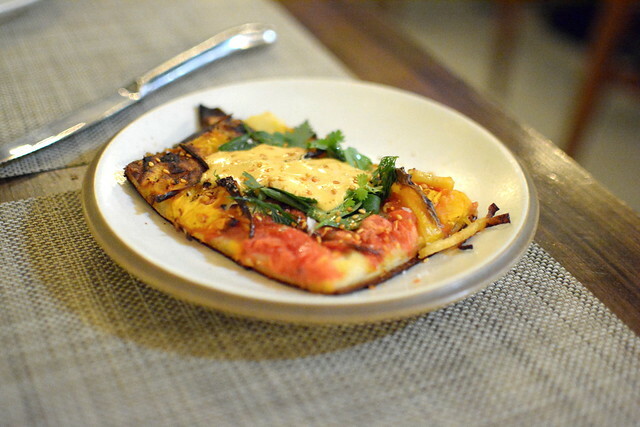 The tomato tart ($12) with créme fraîche, basil, and Brebirousse cheese was our least favorite dish of the night. While the toppings were tops, the tart’s bottom was unfortunately overly browned. The hand-torn pasta ($17) with shishito peppers, yuzu brown butter, cilantro, mint, and green garlic cream was just the thing to make us forget about the disappointing tart. The pasta, awesomely wide and totally silky, wooed us with its assertive pepper sauce. It was simply slurp-able. 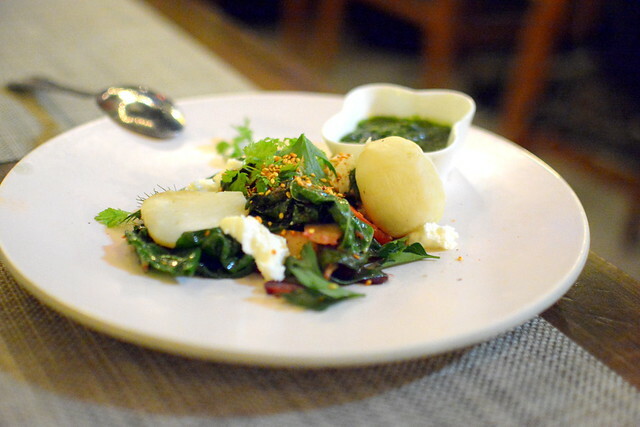 The final savory dish of the night was the salt-baked turnip wrapped in hoja santa leaf with French feta, Swiss chard, and hoja santa dukkah ($15). While we admired the thoughtfulness, labor, and creativity that went into the dish, we weren’t quite sure the results were as magnificent as the J. Gold described. Tonight, the turnip tasted just like a turnip. 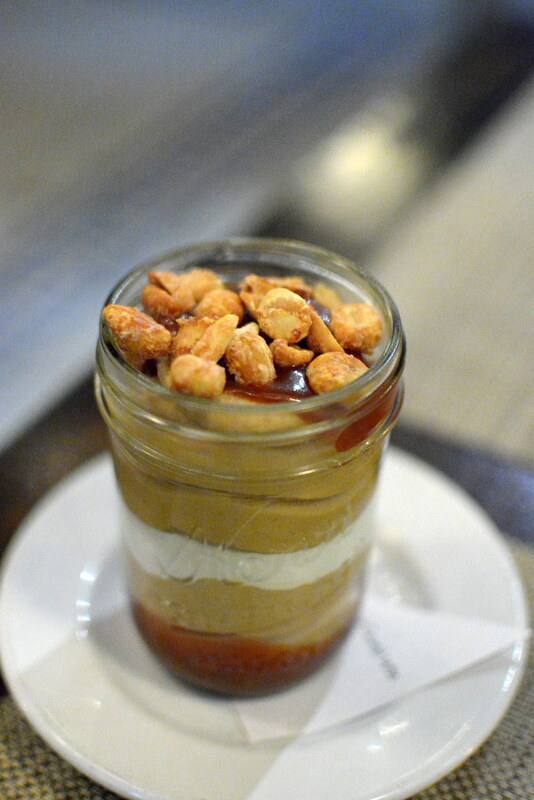 For dessert, I went to town on the peanut pudding ($12)—a magnificent jarful of pudding, whipped cream, and salty caramel. It was ridiculously delicious. 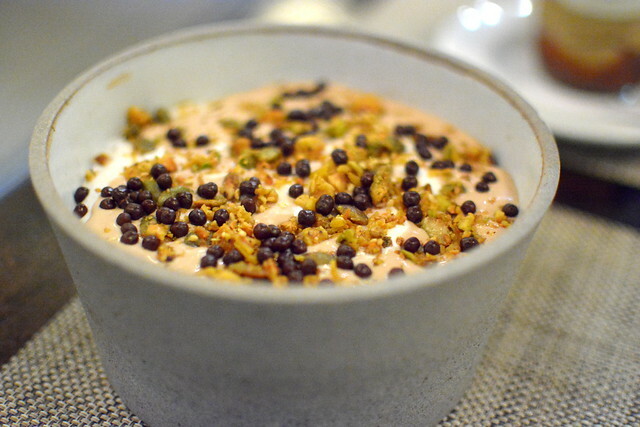 The Astronomer loved the Gianduja mousse and rice pudding with chocolate shavings and hazelnuts ($12). Chef Centeno’s still got that magic touch when it comes to rice pudding. Dinner at P.Y.T. had its high and middling points, but overall we really enjoyed our meal and will return again soon. We’ll make up for missing out on all the meats on our next date night at The Arthur J. Mmm… steak! I doubt it will surprise you that I *adore* PYT. Give me all the veggies!!! !